Christmas Dinner Prayer and Special Christmas pages. I will not forget the reason for the season. This is what I call a "Must-See" video. Celebrating with those who praise Him in public. I come today to adore you. You are my most precious Christmas gift. this day and in this new year. Teach me how to tell the world about you. sending them a little devotional about Christmas. Consider reaching out with Christmas cheer today. brothers and sisters in the Lord. I pray for those who face a difficult family situation at Christmas. And I pray for those who face family members who are unkind. Lord, I pray that you would give each one strength and comfort as they live through difficult holiday gatherings. I ask for supernatural ability and overcoming grace to help them through unpleasant encounters. Remind them that you are with them. Help them to visualize you right by their side. Then the new Christmas song starts. Christmas time is such a joyous time. 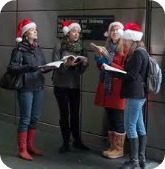 the happiness of carolers, the warmth of twinkling lights. Remind me to value the precious moments that I spend with my loved ones. The memories we make are priceless gifts you give me. is the salvation of those he loves. Paul wrote those words under divine inspiration of God. Those words are in God's heart. Would you join me in praying for the Jewish people? I pray that many Jewish people will find salvation as they enjoy Hanukkah this year. I join with you in prayer for that desire. I pray for the Jewish people during this Hanukkah season. I pray that their families would draw close to one another at this joyous time, and that each person would draw closer to you. During this Festival of Lights, I pray that the Light of the World, Jesus Christ, would be revealed to each one as his or her Messiah. I thank you for the miracle of the Hanukkah menorah lights. Lord, remind me today to shine out my light of love in this dark world. Many people feel sad at Christmas. Today I want to minister to them. who are sad this Christmas season? was filled with loved ones who are missing this holiday season. It deals with the sadness of soldiers away from home at Christmas. the first ones to see baby Jesus. amazing insights into that Bible story! So now that I had seen something special in the names of Anna and Simeon. I was really getting excited. So I looked to see if there were any other names mentioned in the story. Verse 39 says, "And there was one Anna, a prophetess, the daughter of Phanuel, of the tribe of Aser [or Asher]." I looked up what the name "Phanuel" means. It means "the face of God." Now that fits the story! After Jesus was born, we see "the face of God." you kissed the face of God!" for Him at the inn. Yet Mary lived out her commitment to the Lord by following her husband to this far-off town. She bravely made the difficult trip and quickly got settled in a stable - a cold, smelly stable. I will proclaim your amazing grace and love. find a way to share your amazement? Christmas songs are playing everywhere. draw a hurting world closer to you this Christmas. 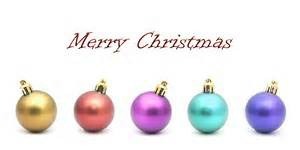 Thank you for the message of Christmas. Thank you for entering the world through a lowly stable. Thank you for the teaching and for the healing that you brought to the world. Thank you for the love that you shared as you walked this earth. And thank you that during this time of year, the Good News is actually heard and explained through Christmas songs. at the department store, and at the pharmacy. of those who don’t know you. they would begin to open their heart to you. 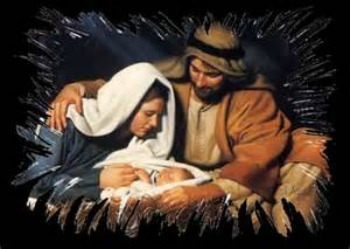 May this be a Christmas where multitudes of people follow the Christmas star and find the Savior of the world. change the world this Christmas. 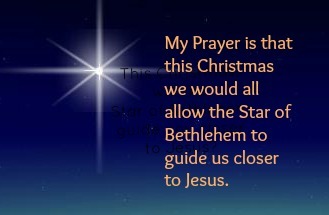 The above prayer is taken from our Christmas Prayers page. Hope was born in a humble stable. Everything I need is wrapped up in Jesus. Everything I need was wrapped up in a manger. Christmas is full of warm inspiration. to accept and rejoice in God's love for YOU. Tis the Season to feel God's love. One of my goals is to help people feel God's love. I want to help people receive God's love and acceptance in a greater way than they have felt before. I have posted a teaching about: God wants us to feel like his sons and daughters but too many people feel like orphans. It is an awesome teaching that will draw you closer to God if you will take the time to read it. Here is a prayer I wrote for that teaching - please adapt the prayer if you are a female. I ask that you would heal my mind and my heart from insecurity, abandonment, rejection, and fatherlessness. God, please help me to have the heart of a son. Please help me to be open to understanding the areas in my life that are wounded. Please heal those areas and make me whole. Please help me to forgive everyone who misrepresented your love to me. Please forgive me for ways that I have misrepresented your love to others. 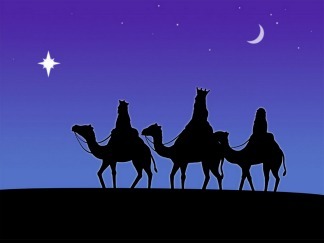 Today I highlight the song "We Three Kings." This song proclaims the deity of Jesus. What a great message to proclaim! I loved to sing that song as a little girl. There is such a feeling of royal pomp and circumstance in that song. dedicated to the King of Kings. Recently I have pondered the great pomp and circumstance that we will experience as the bride of Christ during the great Lamb's Supper Feast feastivities - I mean festivities! No earthly king will ever have such an amazing ceremony as our King of Kings will have. because the Holy Lord was born. 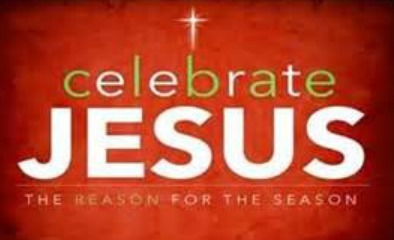 by celebrating the birth of Jesus. This devotion is also posted as Matthew 6. The Bible gives us many names for Jesus. For example, he is called the Bread of Life, the Door, and the Good Shepherd. 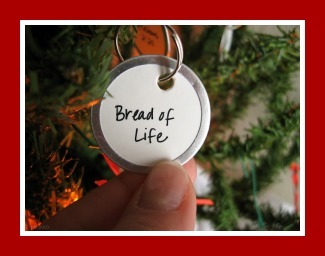 Jesus is called The Bread of Life because people at the time of Christ ate bread virtually every day. This name helped people to realize that Jesus is essential to every day of our life. Jesus is called The Door because people understand that a door is the entrance into a place. This name helps us understand that the entrance to heaven is entered through faith and acceptance of Jesus as Savior and Lord of our life. Without him there is no entrance into heaven. Jesus is called The Good Shepherd. This name helps people to realize that Jesus loves us like a good shepherd loves his sheep. All these names are poetic ways of speaking about Jesus while teaching us something. When we read that Jesus is The Bread of Life, we realize that Jesus isn't literally bread. Yet some of the names of Jesus are literal. Jesus also has names that aren't just symbolic and poetic. Some of his names are literal. We understand that water IS H2O. It isn't that water is similar to H2O. Water literally is H2O. Water actually is 2 atoms of Hydrogen and 1 atom of Oxygen. The Bible teaches us that we are to LOVE Jesus. The fact is: Jesus loves us. The question is: Do we love Jesus? If we LOVE Jesus, then we LOVE truth. If we LOVE Jesus, then we LOVE holiness. then you will not lie. When someone lies, they are in total opposition to truth. Many people choose to lie when it seems convenient or when it seems necessary. In doing so, they choose to be in opposition to truth. they LOVE truth, and they will not lie. Therefore a person who deeply LOVES Jesus will not lie. If a person deeply LOVES Jesus, they LOVE holiness. *For example, a person will not live with someone out of wedlock. If I LOVE Jesus, I will be actively learning to hate sin. 1 John 3:9 says, "The person who has been born into God's family does not make a practice of sinning, because now God's life is in him, so he can't keep on sinning." will sit on the throne of my life. I will love one and hate the other. and my hate for Jesus. That is a hard thing to hear but that is what Jesus taught us. you will love one and hate the other. that we can not follow sin and Jesus at the same time. We WILL love one and hate the other. because Jesus taught a hard teaching. that God tells us to give up. [from the penalty of eternal death]. Many in the church have forgotten to teach the important messages of Jesus. Jesus said the way to heaven is narrow. I pray this entry inspired and challenged each reader to always be determined to stay close to God and obey God as best you can. I pray there are some Sunday school teachers that read this message and decide to give this message to their class. We need the message that God loves us. And we need the message that we must love God.